2006 has not been a particularly stellar year for Australia's Air Force, with the progressive decline observed since 2002 continuing unabated. The Defence reform movement has been as active as ever, with good penetration in the media and good visibility in the parliamentary debate. APA was very active on a number of fronts during 2006. These include multiple parliamentary submissions and provision of evidence to a hearing, coverage in the press and Internet, engagement with other organisations and groups, discussion with parliamentarians and presentations to interested groups and parties. A long history of insufficient ministerial supervision. Constitutionally and professionally improper arrangements for managing civil control of the military by Ministers. No statutory governance mechanisms incorporating clear lines of responsibility and accountability. No clear separation between the administrative and policy organs of the department on the one side and the strategic-level military headquarters on the other. Institutionalised, pervasive and grossly improper civilian bureaucratic interference in military professional matters. This situation has persisted and indeed been aggravated due to reluctance by many within Parliament and its instrumentalities to acknowledge the situation and effect proper action. Indeed, we have seen the very few parliamentarians who have some expertise in these matters, and appreciate their importance to the national interest, not being actively engaged by the mainstream of either major party. The extent to which Defence have managed to manipulate the parliamentary debate away from effective reform by engaging 'acknowledged' experts - selected by Defence - to provide 'independent' comment, advice and reviews is a serious issue in its own right. De-skilling problems, both within the Services and in the Russell Offices bureaucracy, have worsened over the last year, contributing to an increasing level of aggression of the part of the bureaucracy in the public and parliamentary debate. If there is any trend which has grown in the Defence bureaucratic machine, it is the increasing substitution of rational argument and fact with ever more incredible, if not frequently bizarre claims, usually qualifying as classical spin. Perhaps the most outrageous and absurd claim by the bureaucracy was that an upgrade package to Australia's F-111 fleet would cost around $8 billion, which is well in excess of what it cost the US Navy to completely develop the new design F/A-18E/F Super Hornet aircraft. This patently incorrect evidence, together with many other unsupportable and non-sequitur claims, was put at a public hearing conducted by the Joint Standing Committee on Foreign Affairs, Defence and Trade, as part of the ongoing Inquiry into Australian Defence Force Regional Air Superiority. 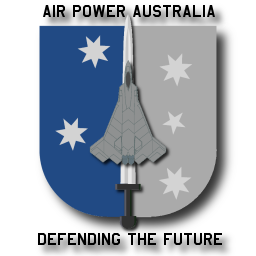 The Inquiry to date has received no less than 39 submissions, of which only two non-Defence submissions actually supported the Defence argument that the Joint Strike Fighter is a suitable choice for the RAAF, and associated claims that the F-22 is unsuitable, and the F-111 should be retired early. In practical terms, unequivocal support for the Defence position from the broader military aviation community in the submissions is less than 6 percent. Although Defence did marshal considerable support from their community of taxpayer-funded or ideologically aligned followers during the public hearing conducted in late March this year, they contributed no factually relevant input to the debate. Other than continuous distortion of facts and veiled insults aimed at dissenters, especially the APA founders, the most unsettling evidence by Defence was the admission by Chief of Air Force AM Geoff Shepherd that 'we don't know what we don't know', stated in relation to the F-111's supportability. The sad reality is that nearly all of what Defence have put forward over the last year to justify their force structure planning decisions clearly illustrates that AM Shepherd's admission of 'we don't know what we don't know' is a deeper and broader problem than many would be prepared to admit. What is patently clear is that Defence do not understand the basic and key issues, factors, constraints and drivers in most critical areas, and where they do understand them, choose to ignore them. Regional capability growth and its implications, and the dynamics of the regional arms race. The limitations of the JSF and F/A-18 variants in relation to regional capabilities. The risks inherent in the JSF program. The capabilities of the F-22. The value of the F-111 in the ADF force structure and the ease with which upgrades can be performed. The critical role of ISR and tanker fleets in the ADF force structure. It should therefore come as no surprise that propaganda and spin have filled the intellectual vacuum in the Defence system. In the absence of understanding, comforting fantasies become a welcome substitute for uncomfortable hard realities. A valuable contribution to the public debate was made by AVM Peter Criss, AM AFC (ret), former Air Commander Australia, who recently pointed out in ADA's Defender that Janis' groupthink is alive and well in the Russell Offices bureaucracy, and introducing a severe and corrosive dysfunction which is central to much of the extraordinary behaviour that has been observed over the past half decade. AVM Criss' observations resonated strongly with comments made to the APA co-founders some years ago by a number of talented senior RAAF officers, who lamented the 'institutionalised mediocrity' which was increasingly overwhelming the Canberra staff machinery at that time. The unavoidable reality is that de-skilling and under-skilling of key staff positions is the prerequisite condition for a culture of institutionalised groupthink to develop in any organisation. Within such environments, the comfort of consensus becomes a substitute for professional knowledge, understanding, and competency, where beliefs replace facts, and such beliefs are then propagated by the internal and public media machinery, thus reinforcing the consensus of beliefs. It takes little time for the organisation to become adrift from reality, upon which its internal cohesion can only be maintained by denial and the adoption of extreme and desperate defensive measures. Claims may then be made publicly that are diametrically opposed to the laws of physics, the mathematics of military science, the logic of strategy, engineering practice, empirical reality, statements by USAF leadership and, finally, plain common sense. There is little doubt that the RAAF is now facing its greatest crisis since 1942, but this crisis is an internal 'Crisis of Competencies', centred in the professional mastery of its own operational, strategic and technical core business. The cumulative damage of the last fifteen years, accelerated by the further loss of talent over the last five years, has driven the RAAF into a situation where it can no longer achieve or maintain genuine mastery in its core business. Similar problems are likely extant within the other two Services. Professional mastery in the core business of air power is not measured by 'stick and throttle' flying skills. It is measured by the ability of an air force to deliver its product - air power in support of national interests - and its ability to maintain and develop the operational, technological and strategic planning machinery required to deliver that product. It matters not if Australia has the most skilled combat pilots in this region, if its lacks suitable aircraft, weapons, systems and software support base, planning capability, doctrine, and management and strategic expertise to apply and maintain these capabilities. It is worth reflecting on the historical reality that the Air Force has survived earlier crises of upper command, during the period immediately preceding the Second World War, and then during the latter phase of that conflict. Despite these setbacks and the inevitable naysayers' predictions, the Air Force managed to recover and establish itself as a highly professional and widely admired organisation. That we are seeing similar difficulties repeated decades later, with potentially no less tragic consequences, clearly illustrates that history is seldom read, and even less seldom understood . A view now increasingly emerging in some Canberra circles is that 'The Air Force are too far gone to fix' or 'The Air Force are beyond redemption'. This defeatist attitude is foolish, insofar as every crisis is an opportunity. The opportunity here is to rebuild the RAAF to become once again the finest air force in the region, learning from the recurring blunders which have reduced the RAAF to its current state. For this to occur there has to be a broader acceptance of the fact that the RAAF is in serious difficulty. This is a reality well appreciated by Australia's wider military aviation community, but also vehemently denied by the incumbent Defence leadership, who naturally deny all criticism to defend their position and maintain organisational cohesion. 2007 will be critically important in the process of getting the Air Force out of its current strategic decline. It is incumbent on all Australians who have an interest in seeing this happen to make their concerns known to our parliamentarians, the public and the media. In conclusion, it is worth contemplating the value of the Prime Minister's statement that 'each generation of Australians is obliged to leave our country in better shape than they found it' . The author gratefully acknowledges comments and input provided on the draft of this paper by four independent reviewers. Spin has a formal definition, in terms of information warfare theory, and is used in this specific sense, i.e. 'A Spin Attack is based on the idea of presenting an unpalatable or other acknowledged or accepted fact, but encouraging the victim to assess that fact from a perspective which is less damaging to the attacker.' Refer Kopp, Carlo, Considerations on Deception Techniques Used in Political and Product Marketing, Conference Paper, Proceedings of the 7th Australian Information Warfare & Security Conference 2006, December 4th-5th, Perth. Paper (PDF), Slides (PDF). The late Second World War clash between the Chief of Staff and the Air Commander has acquired almost legendary stature. There are visible parallels in recent history. It is worth observing that illiteracy in organisational history is as much a byproduct of unqualified or underqualified staffing, as technological and strategic illiteracy is. If we want command staff who are grounded in the realities of the environment they must operate in, their professional mastery must span the full spectrum of issues.